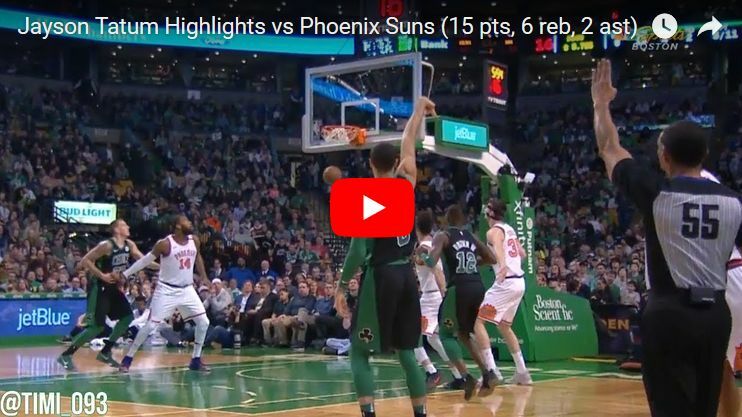 Kyrie Irving scored team-high 19 points to go with five assists and two steals as the Celtics got six players in double digits to beat Phoenix on Saturday. Jaylen Brown added 17 points which is more than he had in two previous games combined. Marcus Morris once again came off the bench and provided good help, finishing the game with 17 points and eight boards on his own. Jayson Tatum posted 15 points, six rebounds and two assists to go along with two blocks and two steals on the night, making some more clutch buckets as he remains one of the best players in the NBA in clutch situations. Al Horford notched double-double of 14 points and career-high 11 dimes and Marcus Smart finished with 13 points to go with seven assists in the game.